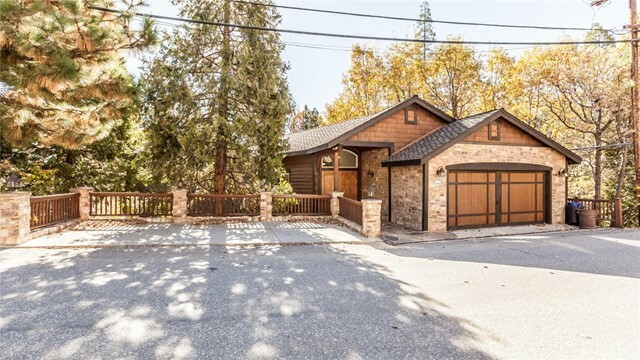 All Lake Arrowhead homes currently listed for sale in Lake Arrowhead as of 04/18/2019 are shown below. You can change the search criteria at any time by pressing the 'Change Search' button below. 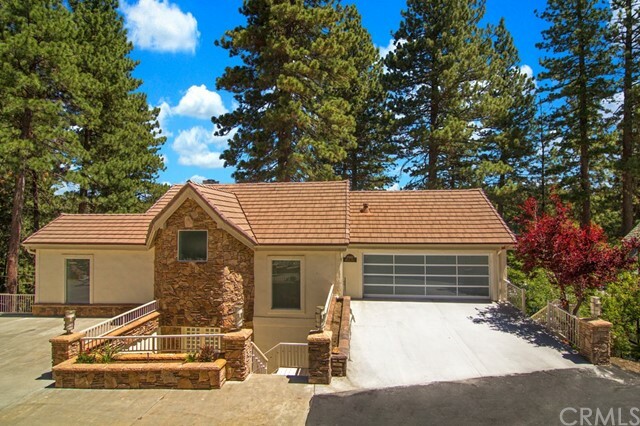 If you have any questions or you would like more information about any Lake Arrowhead homes for sale or other Lake Arrowhead real estate, please contact us and one of our knowledgeable Lake Arrowhead REALTORS® would be pleased to assist you. 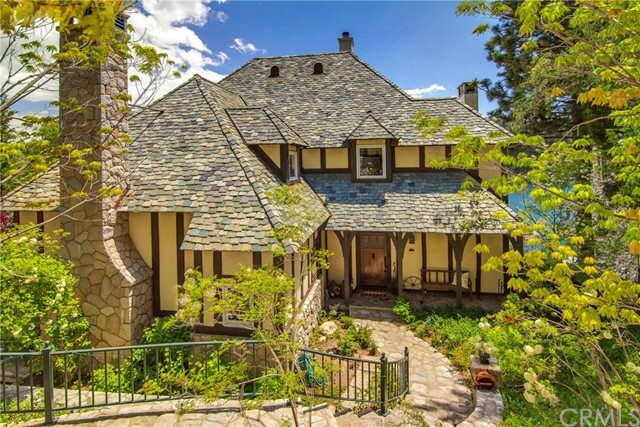 "* Lake Arrowhead's Hilltop Lakefront Estate - The 3.85 Acre Family Compound is Rich with Hollywood History and as Unique to Lake Arrowhead as Lake Arrowhead is to Southern California. Notable Features: North Shore Gated Estates - Level Entry Through Gate House, to Motor Court and Garages - Main House has 7 Family Suites that includes the Sail Boat Themed 6 Bed Bunk Room & Stunning Master Suite - There's a Expansive Great Room with 30 ft. plus ceiling, massive imported French Stone Fireplace, Radiant Heating, and Lake Views - Chef's Kitchen with Butler's Pantry & Formal Dining - All Season Family Room with Impressive Glass Ceiling - Upstairs Play Room & Fire pole offering a quick trip to the Kitchen - Music Room - Tennis Court & Pavilion, 1/2 Acre No-water Lawn - Special Event Catering Building - In Addition, there's a Separate 4 Bedroom Self-Contained Private Guest House - Beach and 2 Private Boat Docks with Four (4) Boat Slips. See Web Site & Media Page for more Details - Now with Massive Price Drop... Magnificent!" 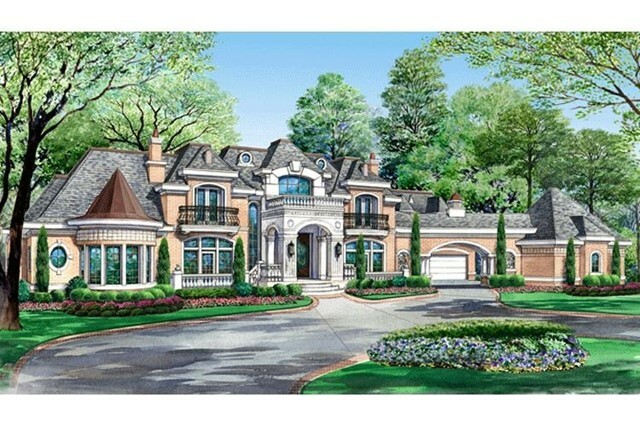 "A mansion to built (Not yet built) in Cedar Ridge Estates by one of the best builders in the area. Very Private and secluded home will have many upgrades throughout the house. This artistic yet elegant home will have everything you will need and more." "Only 1 and a half hours from Los Angeles to Paradise! 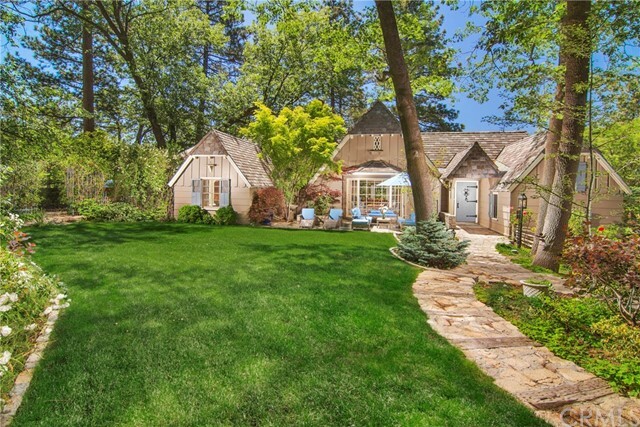 LAKEFRONT!The Ultimate Lake Arrowhead Lakefront! Not another like it. Surrounded by water on 3 sides. Custom Built. Presidential Master Bedroom Suite with 2 Fireplaces and Wet Bar. Entirely Separate Guest Wing within residence with 4 Bedrooms, 2 Baths, Grandscale Living/Game Room with Bar. Gentleman's Sports Bar and Lounge. Elevator. Grand Patio Area. Double Dock. Spa and Sauna. Separate 2 Bedroom Guest House. Total of 9 Bedrooms and 8 baths. 2 Garages. Wonderful Guest House as well." 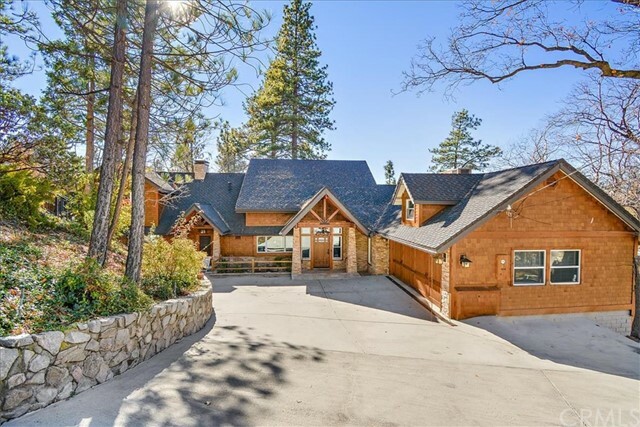 "This Stunning Lakefront Lodge re-designed by present Owner captures the mood of real Mountain Style Living on the shoreline of prestigious Lake Arrowhead Resort. This opulent Western Style residence is situated on 2 parcels. Beautifully Landscaped with Lush Pine Trees the setting is Magnificent! Grandscale outdoor entertaining spaces. Single Slip Dock is Metal Canopied with Boat Lift and Dock House has Electricity and Water. 2nd Dock Site available. Level heated Driveway. 3 Car Garage. Generator. Central A/C. Circulating Stream. 4 gorgeous Bedroom Suites. Grand Master with Balcony, Fireplace, Bookshelves, Walk-in Wardrobe and glamorous Bath. Separate Family Room with High Beam Ceilings and Fireplace ideal for Kids and Football Games. Stunning Kitchen with every amenity including Fireplace and Loggia. Wet Bar between Kitchen and Living Room. Wine Cellar adjoining Formal Dining Area which seats 10. Spectacular Lake Views! Only 1 1/2 hour drive from LA. or Beach. 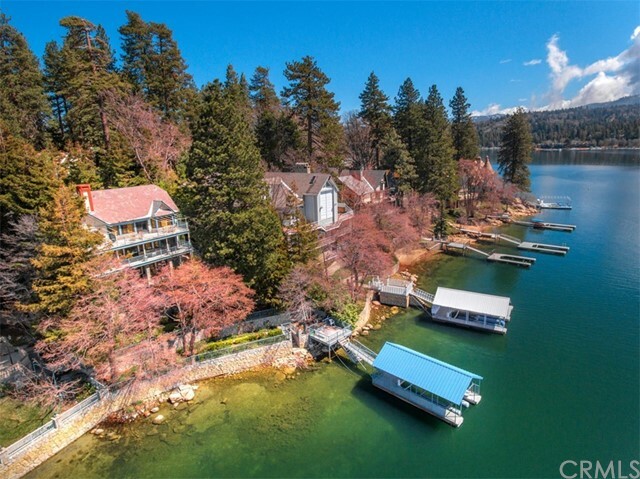 This is a Lodge..."
"* Lake Arrowhead Waterfront Estate... One of The Most Treasured Waterfront Properties in Southern California Captures the Point of Hamiltair Estates - A Legendary & Iconic Location. Special Features Include: Private Drive leading down to the level, gated Peninsula with impressive wide-angle lake views - Magnificent 5 bedroom mountain chalet - Master Suite on the main - North Wing bunk room & guest suite offers caretakers quarters - Great Room charm enriched by the 2 story split granite fireplace - Rare 324 foot private shoreline with double boat dock - Truly a one-of-a-kind offering you'll want to keep in the family for generations to come !" 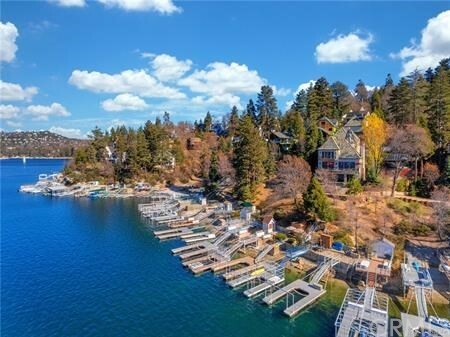 "* Lake Arrowhead Waterfront Estate... One of The Most Treasured Waterfront Properties in Southern California Captures the Point of Hamiltair Estates Here in Beautiful Lake Arrowhead. A Legendary & Iconic Location. Special Features Include: Private Drive leading down to the level, gated Peninsula with impressive wide-angle lake views - Magnificent 5 bedroom mountain chalet - Master Suite on the entry level - North Wing bunk room & guest suite offers caretakers quarters - Great Room charm enriched by the 2 story split granite fireplace - Rare 324 foot private shoreline with double boat dock - Truly a one-of-a-kind offering you'll want to keep in the family for generations to come !" "Dream Estate on the Lake! Panoramic and long distant lake views from this very private acre-plus lot. The completely remodeled, solidly built home boasts an open floor plan and multiply social spaces, including a possible media room for optimal entertaining. It also features a chefs kitchen and generous sized bedrooms. An extra large dock house connects to a single slip dock only a few steps from the over-sized patio perfect for summertime parties. The heated driveway leads to a two-car garage as well as a 2 bedroom guest house with plenty of extra parking. This beautiful home is located in the exclusive gated North Shore Estates." "A World of Its Own!Situated at highest point Cedar Ridge on Bald Eagle Ridge. Spectacular, Private and Gated Estate containing approx. 18.47 Acres. Total Privacy! Property features a Custom Built Studio or Self Contained Apartment. Custom built by Former Owner Celebrity as a Sound Studio. Attention Artists, Writers, Musicians or Executives.. this could be the ideal situation for your needs. 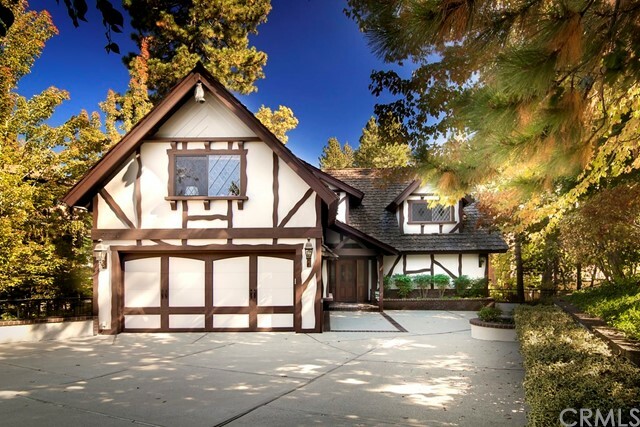 Custom Built, Stately English Lodge, Explosive Beamed Ceilings and Walls of Glass overlooking Lake Arrowhead. Magnificent Terraces and meandering pathways. Two separate garages, for Boats, Cycles and Limo's. Large Motor Court. Approximately 7489 Sq.Ft. 6 Bedrooms and 7.75 Baths,Gym and Sauna. Gourmet Kitchen with Top Appliances. Gentleman's office with Fireplace, Walls of Book Shelves. Ladies light and Airy Office. POKER ROOM!Inglenook Fireplace, Pub Bar, Family Lounge, Formal Dining for 12!. Includes Sellers Single Slip Dock in gated Orchard Bay.Furniture/Furnishings per Sellers Inventory." "Within Gated Community, Architecturally Magnificent! It took 4 years to build this masterpiece. Meticulous Owner with contractor Ron Dolman orchestrated the construction of Belle Maison. Brick, Marble, Limestone, Granite, Hand-Hewn Beams, Solid Oak Floors, Stained Glass Windows. The stone, vintage lumber and antique timbers were chosen and fabricated on the property. The Landscaping of Giant Sequoia Trees, Spruce, Daffodils and Roses were chosen to compliment the circulating streams which meander the property ending in a pond under the glorious foot bridge. Stone and marble were from quarries in France. Stone mason and artist Francois Leocadio hand carved all the stone. The roof tiles were manufactured in Fijac, France and transported by ship. Nearly 5 acres of manicured lawns & gardens. Approx 9,000 Sq. Ft. Two 5,000 Gallon Water Holding Tanks, Deep water well, Solar panels, 2 Generators." "Custom French Chateau Estate with stunning views of lake throughout this majestic home. Everything required to classify this home as a world class retreat. State of Art Chef's kitchen-viking & sub-zero appliances, finest imported materials with all expected amenities--opens to a large beamed ceiling, hand carved limestone fireplace with walnut floors throughout. 30' ceilings in the sprawling master suite--private deck, walk-in closet, soaking tub, steam shower & cedar lined sauna. 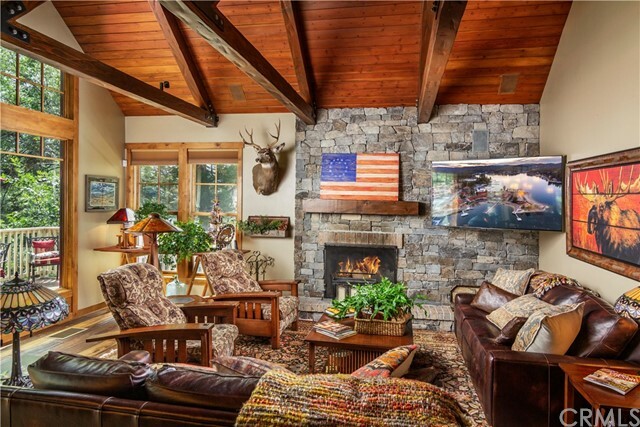 Bottom level wood paneled game room has sound proof music room, full bar with Mascarpone granite, opens to beautiful hand carved granite pillars around oversized spa, bbq & fire pit--leading to lake path. This home comes with vantage control lighting automation, snow melt drive and exterior rock stairway. Back-up generator, security system & self contained guest house...round off this magnificent home." "First Time on the Market! 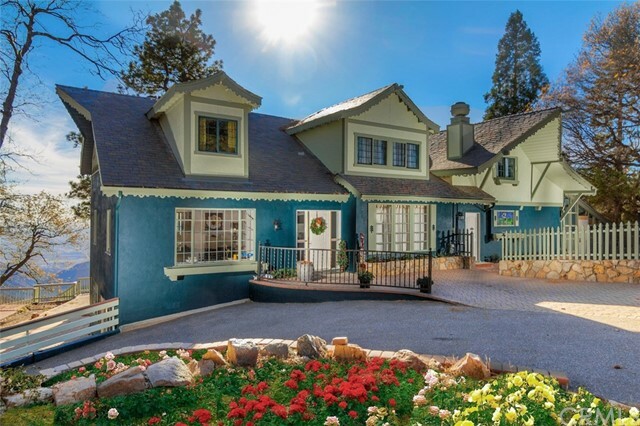 One Family has owned this beautiful Lake Arrowhead, California Lakefront since it was built in 1984. Located within prestigious Point Hamiltair gated community, the Grand Estate is unassuming from the street and upon entry the Lake Views are spectacular! The Residence is well constructed but may require some personal updating to one's own taste as the family has enjoyed its amenities and appointments just the way they are for many years. The Great Room is Magnificent with soaring Ceilings and Floor to Ceiling Windows! There is a Family Room with Fireplace, a Casino Room with Conversation Wet Bar, 2 Master Suites, 3 Guest Bedrooms, Maids room and Bathroom. A guest apartment with Kitchen. Sauna, Circular glass enclosed Family Spa. Central Heat and A/C. Sweeping entertaining Decks. Double Car Garage. Level Entry. Master on Main Level! Beach and Single Dock! Glorious Views from all Points." "* Rainbow Point Lakefront Lodge Home. The moment you enter the front door, you'll know you're in the right place. Tall 2+ story Great Room ceiling with wood beams, trusses, massive 2 story used brick fireplace, open floorplan with adjacent wet bar & chef's kitchen all with impressive lakeviews. Master suite with lakeview deck & attached office is level to street with no steps from all-season level entry 3 car garage. 7 bedrooms, 5 are suites including a cozy bunk room for the grandkids. Exercise room, formal dining & game room round out this very special 5600 sq. ft. mountain home. Beautifully landscaped with a short gentle walk to dock house, lakeside patio, spa, pier & your private well-located single slip boat dock. Beautiful Totem Pole Bay offers a controlled no-wake environment ideal for swimming, paddle boarding, rafting & fishing. 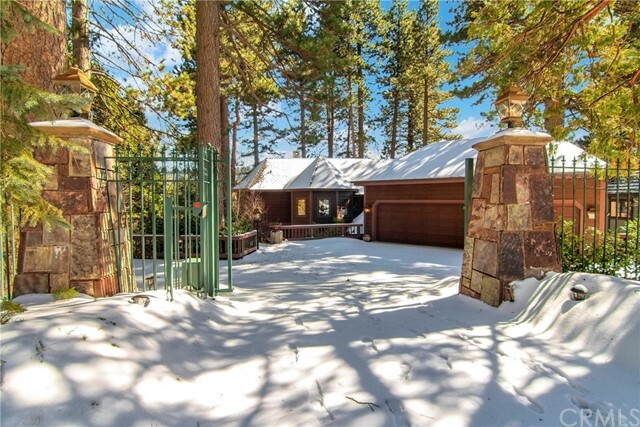 This fine mountain lodge lakefront property offers access, utility & value as it is surrounded by 3 of the highest valued homes in beautiful Lake Arrowhead." 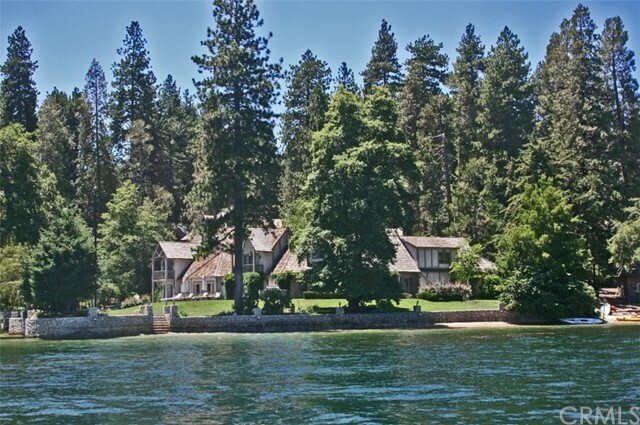 "* Lake Arrowhead Vintage Lakefront Estate - The illusion of total seclusion within this 1.7 acre Share of Paradise. Special Features: Private North Shore Estates - Gated level driveway leading alongside an acre of magnificent forest and yes, it's included with this 1937 Storybook Home - All-season level entry into both 2-car garage & formal entry - Main level lakeview master suite - 4 additional guest & family bedrooms (2 upstairs and 2 down) one of which is the grandkid's bunkroom - Tall beamed ceiling in living room & floor to ceiling stone fireplace adjacent to formal dining - Chef's country kitchen & breakfast dining flows openly to den with another beautiful stone fireplace & large picture window framing lake & forest views - Wonderful outdoor viewing & dining deck - Spacious downstairs family room with lake access and short path to split granite patio which perhaps is one of the most tranquil spots on the mountain. Three (3) private Boat Slips. Impressive one-of-a-kind property!" "*Rainbow Point's prized Maison du Lac! Dolman designed & built, this French Normandy inspired lakefront offers expansive 180 degree water & ridgeline views from virtually every room! Custom unparalleled finishes by Lake Arrowhead's master craftsmen ensure timeless quality. A spacious sun filled great room boasts dual stories with intricate hand-hewn beam ceilings, textured distressed wall finishes, wide plank hand troughed wood flooring. European vintage porcelain tiles, reclaimed antique fixtures & hardware, 4 custom fireplaces all combine to a perfect rendition of relaxed European style lakeside living. 4 bedroom suites incl an oversized spa like Master, high-beamed ceilings & fireplace. A lodge style den with extra large brick fireplace creates a winter hideaway. Lower game room incls 4 charmingly themed built-in bunk beds leading to oversized stone deck & covered single slip dock & pier. Extensive granite hardscape lends to the story book ambiance, making it easy to fall in love!" "Newer level entry lakefront with beautiful finishes- such as Carrara marble, teak flooring, and custom woodwork. Light and bright open floor plan. Home is professionally decorated and furnishings are negotiable. Other features include custom elevator, quality sound system, great decks for entertaining, generator, fire pit, air conditioning, security system with multiple cameras and solar powered single slip dock." "The Optimum Lake House. Ideally located near the Tavern Bay Beach Club yet tucked away for privacy. This celebrity owned home has all the features a buyer looks for and more. Enter this comfortable European styled home with breath taking water views popping through every window. Multiple living & entertainment rooms conveniently located on the same level. Main living room is spacious with unique high beam ceilings, stone fireplace, built in wet bar & french doors leading out to deck over looking Lake Arrowhead. Chef's kitchen with commercial appliances, granite counter tops, custom cabinets & views of lake. This estate has 5 bedrooms & 5 bathrooms. Double masters located upstairs with en suites & their own private decks over looking the lake. The architecture in both masters should not be missed! Outdoor space feels like a resort. Have summer bbq's on large patio, play ping pong on grass area or soak in hot tub overlooking panoramic lake views. Fully landscaped & single slip dock!" "Truely a gem, hgh end quality throughout this Lakefront Lodge style home w/single slip dock w/dock house & party deck #N501B. 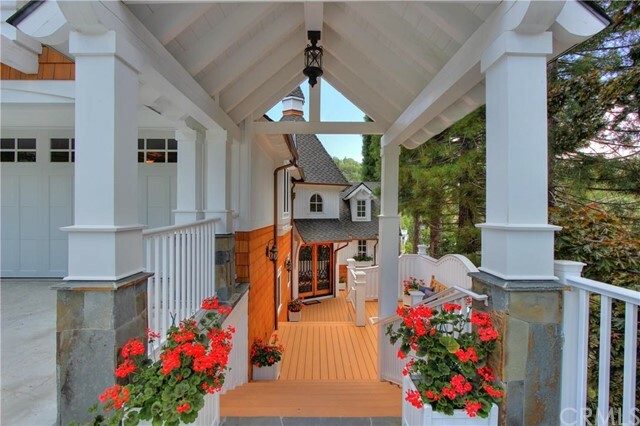 Convenient level entry to 2 car garage & main entry. Flagstone, slate, wood and carpeted flooring. Loaded with Character- rooms are placed with maximum privacy for everyone with 5 bedrooms, living room, family room & super outdoor area. 3 fireplaces and wet bar. Viking kitchen with chipsided granite counters & backsplash. Beautifully furnished per inventory. This is a must see." "* Point Hamiltair Lakefront... First time on market - The many special features include; Inspiring lake views - 5 bedroom suites - Level entry to garage & master suite - Whole house elevator - Open flowing entry with stone fireplace, dining & kitchen - Spacious family room & study with fireplace - Second expansive family room (third common area) with fireplace, guest suite & kitchenette. Four well planned gardens - Street to lake native split granite infrastructure - Well-located private deep water boat dock. Now with Impressive Price Adjustment Adjustment ! Beautiful..."
"* Rainbow Point Lakefront Home. Impressive and Rare Contemporary Lakefront. Six Bedroom Spacious Luxury Home In Sought-after Rainbow Point. Some Of The Many Special Feature Include; Lakeviews - Chef's Kitchen With All The Expected High-end Equipment - Family Room - Game Room - Fabulous Master Suite Along Upstairs At Street Level Offering No Steps From Street Level Two Car Garage - Beautifully Furnished - Six Baths - Workout Room - Spa Room - Large Lakeside Deck Leads To Private Single Slip Boat Dock. * NOW with Winter Price Adjustment... Exceptional!" "One of a kind Showplace! First time on the market! Impeccably built by the present Owners, this Castilian Architectural Masterpiece is situated on 1.03 private acres. Gated Motor Court. 3 Car Deep, Level Garages approx 1,024 sq. ft per Seller. 5 Separate Covered Patios and Covered Veranda approx. 1,100 sq. ft with strengthful columns perfect for entertaining. Massive beamed ceilings, Arched Hallway with Domed Barrel Ceiling, Custom designed Wrought Iron Chandeliers and appointments throughout. Walker Zanger Spanish Tiled Floors. Gorgeous Master Suite on the Main Level with Fireplace and His / Her Bathroom Lounge. Ladies Office / Gentleman's Office. Spectacular Kitchen with every conceivable amenity and Butlers Pantry. Formal Dining Room with Fireplace will seat 12. Custom Wine Cellar. Living Room and Den with Mantled Fireplaces. Home sold Mostly Furnished! 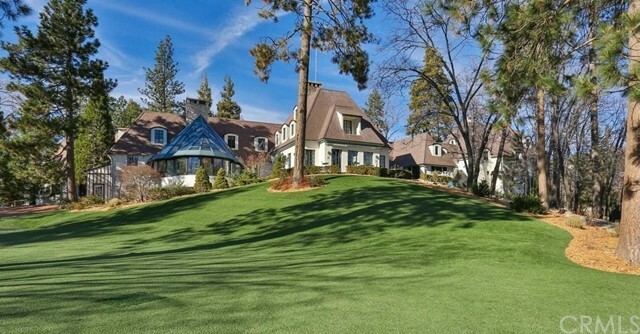 Manicured Grounds. Private Gated Cedar Ridge Estates. Single Slip Trex Dock and Dock House iavailable for Additional Separate Price"
"* Hamiltair Lakefront Home - Meticulous owners of 33 years offer their family home turnkey and in showplace condition. Special Features Include: All-Season level entry into both 2 car attached garage and front entry - Impressive first impressions with long lakeviews - Five bedrooms with 5 baths - Formal dining - Chef's remodeled kitchen - Large family room with another impressive fireplace, wet bar, lakeview and viewing deck - Easy dock access - Private single slip dock with custom dock house. New roof & plumbing - Comfortable, warm and well located within the gates of prestigious Hamiltair." 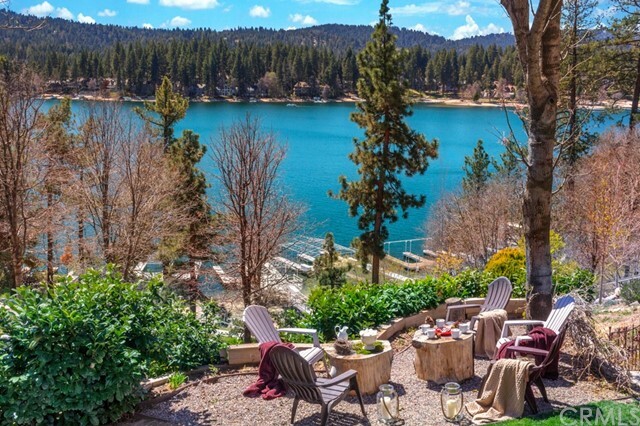 "Perfect Family or Corporate Retreat... One of America's first Million Dollar Estates this Historic Property was completed in 1935 and was home to Theodore Dorey Foutch, the architect who designed and constructed the Arrowhead Village. Above the clouds and gracefully perched on the Ridge of The Rim of The World Highway this property has unmatched views all the way to Catalina Island. Sitting on two tree filled acres this 9 Bedroom 11 Bath Estate even comes with a commercial kitchen. Remodeled in 2017 and is currently is operated as a bed and breakfast. Included on the two acres is a separate income producing triplex. Anyone who is looking for beauty, serenity and the magic of a mountain retreat would want to call this home." "A Stunning Lakefront Estate featuring Craftsman Style, Separated Guest House, & Single Slip Dock with Dock House! This home is a dream on the pristine, sought after & calm waters of the North Bay! Vaulted ceilings, walls of windows, a dreamy master suite, timeless kitchen, and ample space for your guest & entertainment needs. The great room extends with vaulted beamed ceilings, hardwood flooring, stone fireplace, and tasteful lighting to a large entertaining deck with lakeview & feeling of privacy. The second living space was created with comfort & also opens to a second spacious entertaining deck for your larger gatherings. The master suite features its own private viewing deck & lakeview, as well as a gorgeous master bath boasting a claw-foot tub & handsome hard finishes. The kitchen flows with beautiful stone counter tops and stainless appliance options. An easy street side approach made private with custom made gates & dual drives. The waterside approach is just as easy with a gentle walk from dock to home. A stunning finished product for the lake life experience. 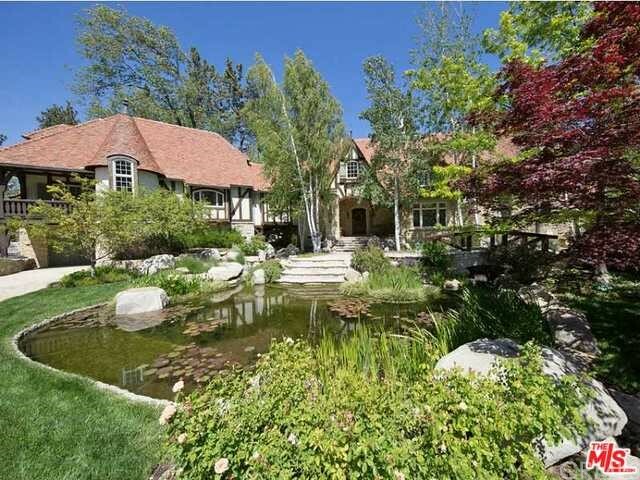 The Lake Arrowhead Lakefront Opportunity of Year."